Mental Health Awareness – I am. Are you? Leadership Miami’s Team 2 – Miami Beat – is raising funds to build a Sensory Room for Autistic kids at Miami International Airport! For more information on this project, Follow Team Miami Beat on Facebook! Leadership Miami’s Team 2 – Miami Beat – is raising funds to build a Sensory Room at Miami International Airport! We are pleased to announce that we will be building a Multi-sensory Room at MIA to benefit families traveling with children who suffer from developmental disabilities, such as autism. MIA will be just the third airport in the country with these facilities. We’re partnering with The Arc of the United States and the UM-NSU Center for Autism and Related Disabilities for the clinical/therapeutic aspects of the facility. We’re partnering with YOU to get it finished. If you are in the Miami area, you are invited to a Shark Tank-style event, Connecting for a Cause, on March 6, 2018, presented by the Greater Miami Chamber of Commerce. We will be seeking in-kind donations of building supplies, design/artistic talent, and skilled trades in the near future. Feel free to inbox me if you have any questions about the project or how else you can get involved. Back and Ready to Rock. I’ve been neglecting my blog for quite some time – “real life” can really interfere with my social media and internet addiction. It’s definitely time for me to start expressing myself here once again. This tiny corner where I share my thoughts helps put a lot of issues into perspective, and it is simply a comfortable place to VENT sometimes. There are so many interesting topics surrounding our daily lives. We are living history every day – AMAZING, SCARY, INFURIATING, FUN, CRAZY – you name it, it’s out there and we are all a part of the story. Some of the topics that interest me are charities and causes, Anti-Bullying, the Arts, social change, mental health awareness, current events, and whatever else may catch my attention (IFLS, after all). If you want my take on a specific subject, feel free to hit me up! Not sure whether I will have anything of value to say on the subject, but I will try my best. Fair Warning – I’ve been collecting graphics and memes for as long as I can remember (psp tubes anyone? ), and I plan to upload my favorites as often as possible. I also have the tendency to share random photos of my dogs (hey, everyone has their quirks – no apologies). Can you imagine a head that would never shut off? Can you imagine a mind that remained active far after the body required rest? Can you imagine if you ran a million miles an hour 24 hrs. a day? How could you ever find what is best? 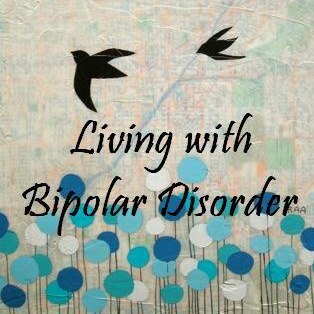 I have an illness called Bipolar disorder, making me CRAZY by society. Having a disorder that makes this happen is no gift. Bipolar and a rapid cycle is a curse beyond what most could handle. My life is a disorganized chaotic mess I wade my way threw each day. I hate the fact that my memory is shot. I hate the fact that some things make no sense. To want to live to want to go on… sometimes my mind is so clouded I have not a clue. To settle these crazy differences that nobody else can see and make them right. I just wish the world would not judge who I am inside.